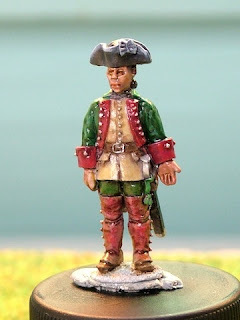 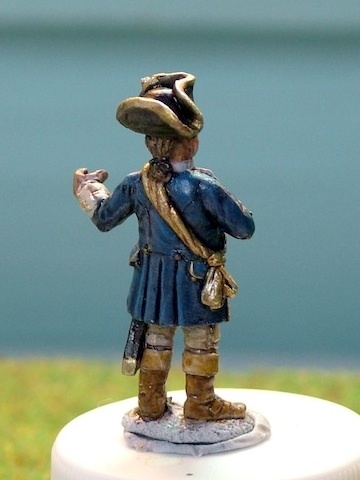 The Essex crossbowmen are coming along nicely and in between them and a Imagi-Nation commitment I eased a bit of paint onto a few figures for myself. 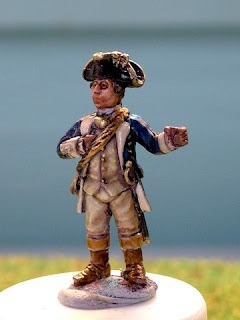 Once again not much to say about them other than they are all from Eureka Miniatures, are painted using 'wash and glaze' and are finished in acrylic clear satin eurethane. What I need to do now is get a smooth undercoat for this painting, the gesso has worked OK so far for regular painting but the fine shark skin like texture probably wont work for this. 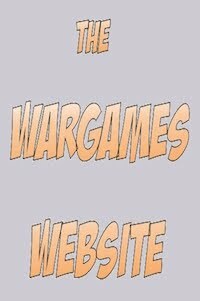 Anywho on to the pictures. 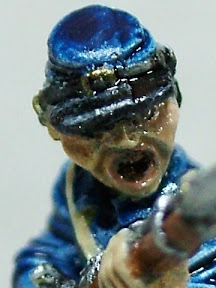 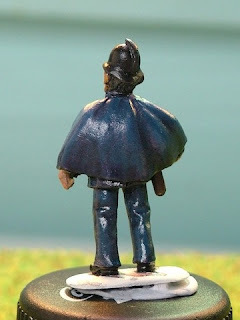 1st up Abraham Lincoln ;-) See more photo's on my personal wargames blog. 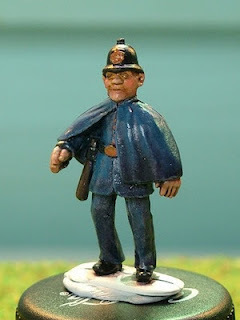 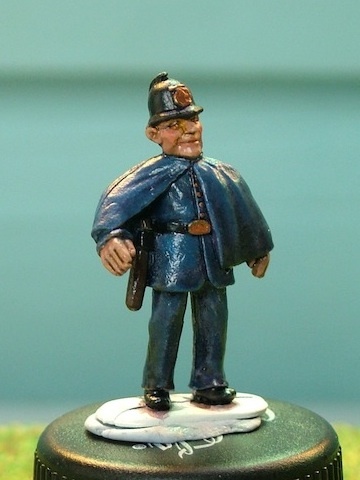 Laughing policeman from my 'Jolly Squad of Scottsmans Yard', Victorian Science Romance (or VSF to the kids) Project. 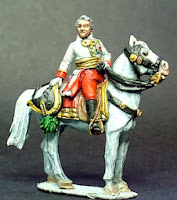 Artillerist of the Landgraviate of Hesse-Kassoulet, read the Narrative and see more photo's here and have a poke around while your there, plenty to have a chuckle over.